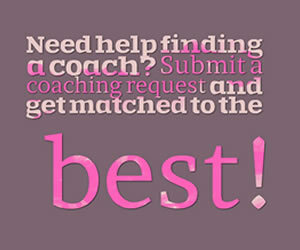 Positive psychology can be a great addition to coaching to bring lasting results to your clients. This article walks you through the main defining features of positive psychology, and then outlines how you can apply its principles in your own coaching. Positive psychology is the study of human flourishing; it has been defined as the examination of the strengths and virtues that will allow individuals, organizations, and communities to thrive. As a whole, the discipline of psychology tends to focus on dysfunction in the world, including the treatment of people with mental illnesses and other psychological problems. Instead, positive psychology looks at how everyday people can become happier and live more fulfilling lives. While the field of psychology’s concern with remedying human problems is important and understandable, much of the science fails to address what it is that makes our lives worth living. Positive psychology works to correct this imbalance by focusing on both strengths and weaknesses, choosing to build on the good things while also repairing the bad. The school of thought believes that excellence and human goodness are just as authentic and important as disorder and distress. The concept of positive emotions in positive psychology involves being content with the past, happy about the present, and having hope for the future. Psychologist Barbara Fredrickson is one of the most prominent researchers in the relatively unchartered terrain that is positive emotions, and she believes that we need negative emotions flourish, while positive emotions tend to be subtle and fleeting. She believes that the secret to happiness is to try and increase how often we are experiencing positive emotions to achieve a better balance in our lives. At the individual level, the field of positive psychology focuses on positive individual traits, otherwise defined as the more positive behavioral patterns that are seen in people over time. Understanding positive individual traits will require the study of strengths and virtues, including the capacity for love, courage, work, resilience, integrity, and self-control. Positive individual traits could include the ability to tap into one’s creative potential or the inner drive to pursue excellence and success. Positive institutions are a pillar of positive psychology for society as a whole. Understanding positive institutions involves the study of the strengths that will develop better communities, and those strengths can include work ethic, justice, civility, responsibility, and tolerance. This level of positive psychology will explore how an institution can work better to nurture and support all of its citizens. Martin Seligman is thought to be one of the founding fathers of positive psychology, and he has developed several models to explain the theory of happiness. The most recent is the PERMA Model, which includes five core elements of well-being and happiness, and it is believed that these elements can help people to reach a life of happiness, meaning, and fulfillment. P – Positive Emotion – Being able to focus on positive emotions is the ability to be optimistic and view the past, present, and future from a positive perspective. This positive view can help you in work and relationships while inspiring you to take more chances and to be more creative. E – Engagement – It is important to our lives to find activities that will take our full engagement, as these activities will help us to grow, learn, and nurture our own personal happiness. R – Relationships – Social connections are a foundation for life, as humans thrive for intimacy, love, and interactions with other people. Building positive relationships will help to spread joy and love while providing support during difficult times. M – Meaning – Having meaning and purpose in life is important for overall fulfillment and happiness. A – Accomplishments – Ambition and goals in life can help us to achieve things that make us feel good about ourselves. When you achieve your goals, you’ll reach a sense of fulfillment and pride that will further push you to flourish and thrive. 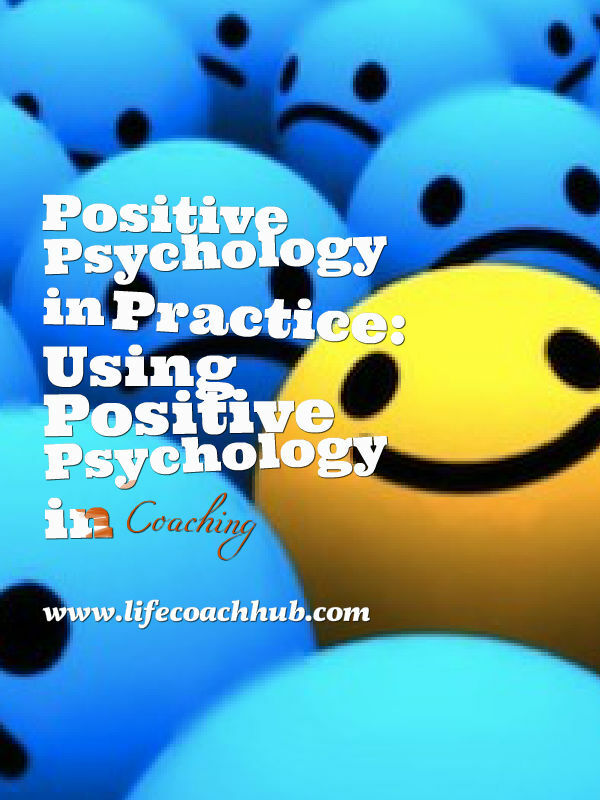 When it comes to coaching, positive psychology is a natural fit. Positive psychology studies the things that work well in our lives, so it fits well with the basic assumptions of coaching that the client is naturally resourceful, creative, and whole. Coaches who use the principles of positive psychology will focus on the use of their clients’ strengths to enhance day-to-day personal happiness, knowing that happiness will grow when we have meaning, engagement, and pleasure in our lives. While your clients will seek out your services for a variety of issues, the basic foundation to all of those potential problems is their desire to improve their happiness and well-being. 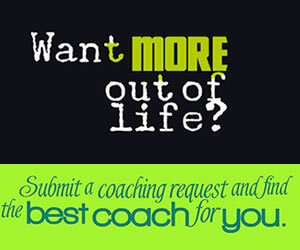 People who are looking for life coaching are doing well, but they want to flourish. Life coaching will focus on their strengths, goals, hopes, and dreams, and all of these areas are within the reach of positive psychology. Positive psychology can be extremely beneficial when it comes to life coaching, as there are a number of ways that the study can fit in with the ICF core competencies. Positive psychology focuses on asking what is right, instead of what is wrong, with people. While this doesn’t mean that as a coach you are to ignore problems or weaknesses, it does mean that you should be thinking that there is at least as much use in focusing on the positive. Creating the coach-client relationship is important in any life coaching situation, and the ICF highlights the importance of establishing trust and intimacy with the client. It is important that the coach shows genuine concern for the client’s future and welfare, keeps promises, and provides ongoing support for new actions and behaviors. Positive psychology can be extremely useful in establishing a trusting and open relationship with your client. Reacting to your clients in a positive way will reinforce the coach-client bond. A positive reaction to your client can magnify the uplifting effects of the good things that are happening in their life. Developing a strong bond through positivity can make it easier for you to move on to coach the client in new and sensitive areas to help them to further make progress toward their goals. When using positive psychology throughout communications with your client, it is important to be focused and actively listening on both verbal and nonverbal levels. As a coach, you should be specifically attuned to moments in which the client is seeking to share positive successes or moments of pride. Then, rather than simply acknowledging what you have been told, you can use responses that provide positive feedback that is supported with an emotional content. This will make the feedback sound more affirming and authentic for the client. A life coaching process that is influenced by positive psychology doesn’t mean that you and you client can only discuss the good and never address difficulties, failures, or painful experiences. Your clients should feel free to discuss anything that they feel is important to them and relevant toward reaching their goals. However, the difference is that you should steer the conversation to talking about difficulties against a background of strengths, putting obstacles and difficulties in a broader context. A positive psychological perspective should also be used with direct communication, as it is important that as the coach you are using language that will have the greatest positive impact on your client. You will want to help the client to reframe and articulate a situation from a positive perspective, and you can use metaphors and analogies in order to better illustrate a point from a perspective of positivity. Positive psychologists Martin Seligman and Christopher Peterson have developed a strengths classification system known as the Values in Action (VIA) strengths survey. This questionnaire works to measure strengths, and it has been useful for both researchers and life coaches. The system identifies six primary categories of strength, known as core virtues, and each has several subcategories, resulting in 24 signature strengths. After taking the test, the client’s strengths will be ranked, and coaches can focus on those at the top and help clients to harness these qualities. Research has shown that working with signature strengths can be extremely effective for clients. People who worked with their strengths in a new way were found to be happier and more engaged in their lives. By encouraging clients to use their strengths to take on a challenge, they will experience improved performance while enjoying greater satisfaction in the accomplishment of the task. Creating realistic and obtainable goals is a major step in a coach’s role to facilitate learning and results, and this task can be done from the perspective of positive psychology. Goals will provide your clients something to look forward to and a focus, and they will give their life a purpose while increasing feelings of optimism and hope. In turn, this optimism can build your client’s motivation and ability to get out and achieve their goals, working through complications that might arise and not giving up when things get difficult. Positive psychology focuses on the importance of choice, believing that a large part of a person’s happiness can be explained by the choices that they make in their lives. Coaching will build upon this belief, providing clients with the tools and knowledge needed to make informed choices that will help them to achieve their goals. In keeping up with the theme of positive psychology, the end result should be to improve overall happiness and wellbeing. As coaches, we believe that when it comes to making powerful and positive change, our clients have the answers inside of themselves. It is our job to help them discover these answers through active listening, asking engaging and thought-provoking questions, and monitoring progress. When incorporating positive psychology, we work to make our clients stronger and more productive, helping them to actualize their full potential in order to pursue a change that will improve their overall happiness. Helping your clients to develop hope for the future is also an important part of empowering change. Hope is directly related to positive outcomes, and not only is it a feel-good emotion, but hope serves as a motivational system. Hope for the future leads to growth and improvement, and people who are hopeful for their future tend to be actively engaged in developing strategies that will help them meet their goals. People who are lacking hope tend to choose easy goals that don’t offer opportunity for growth or a challenge, and when they fail they typically give up. After our work in empowering our clients to make changes, it is our responsibility as coaches to hold attention to what is important to them. We should clearly request that the client take actions that move them toward their goals, acknowledge what they have completed, and work to keep them on track between sessions by drawing attention to the agreed-upon courses of action. The use of positive psychology can allow us to better motivate and encourage our clients to complete what they have set their minds to. Positive psychology can help to uplift your clients, giving them hope to persevere when things might not be going the way they planned and encouraging them to continue on the right path when they experience a success. While it is perfectly acceptable to address and talk about failures, it is important to do so from a broad and positive context. Positive psychology uses an optimistic approach to help everyday people to live happier and more rewarding lives, and it is easy to see how this discipline can be of use when it comes to life coaching. When working with clients from a perspective of positivity, we are better able to create a trusting relationship, help our clients to create realistic and achievable goals, and empower real change. Ultimately, positive psychology can allow us to achieve our own professional goal of helping our clients to live more fulfilling and successful lives. Park, N., Peterson, C., & Seligman, M.E.P. (2004). Strengths of character and well-being. Journal of Social and Clinical Psychology, 23(5), 603-619. Seligman, M.E.P. & Csikszentmihalyi, M. (2000). Positive psychology: An introduction. American Psychologist, 55(1), 5-14.